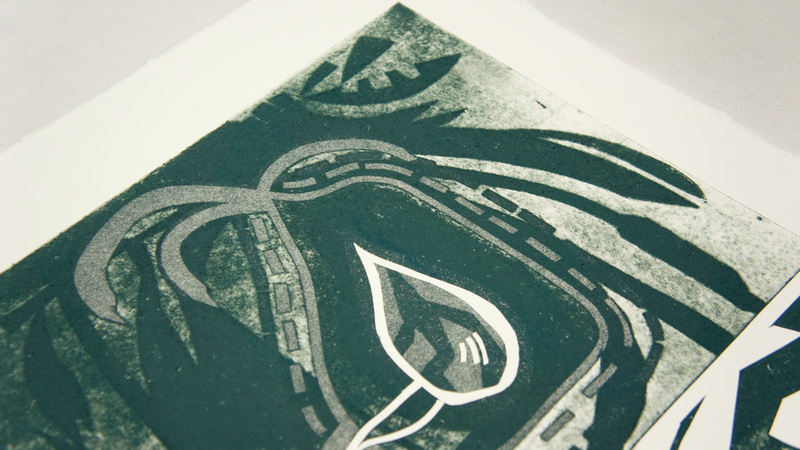 The Vulpine AT series of prints playfully applies wide color ranges over an acid etched zinc plate image. This unique and anime inspired aquatint print is named "Axan." Archival paper. (art: H: 17 3/4" x W: 23 3/4" / paper: H: 21 1/2" x W: 28") Signed & dated front (pencil) & back (archival ink). The paper is heavy at 400 gsm (grams per square meter).